Evgeny Kuznetsov - Value beyond the boxscore - The Point Data-driven hockey storytelling that gets right to the point. I like it when Evgeny Kuznetsov scores points. For one, I have him on my fantasy hockey team. But, I also like it when he scores points because often times players who don’t get on the scoresheet also don’t get much post game attention – even when they deserve it. Had Kuznetsov not assisted on the overtime winning goal last night, most people outside the Capitals organization probably wouldn’t have given his performance a second thought. 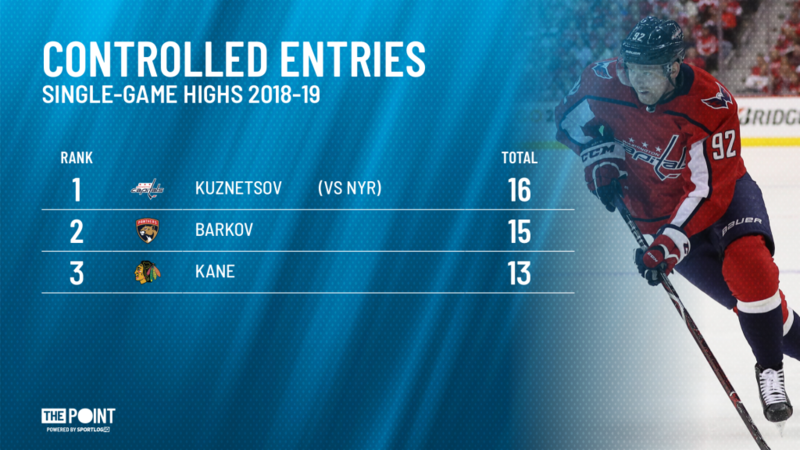 I started writing this article at the end of regulation because Kuznetsov was putting up some incredible numbers that don’t show up in the boxscore but are indicative of a dominant individual performance. His overtime assist was a bonus. Kuznetsov’s apple on Matt Niskanen’s game-winner was a perfect example of what makes him such a special player. Scratch that, a superstar – that’s what he is. Here’s a look at the Niskanen goal that Kuznetsov created. First, he enters the zone, then does a lap with the puck, a shot from a dangerous location and a second later – game over. Let’s look at where Kuznetsov ranked in last night’s game when we quantify all of those elements. Kuznestov is one of the premier transition forwards in the league, finishing last season 14th in controlled zone exits and 7th in entries per game. The shifty Russian kicked it into overdrive last night with 17 controlled exits and 16 controlled entries. That’s the 3rd highest total for exits in a game by a player this season and the most entries. 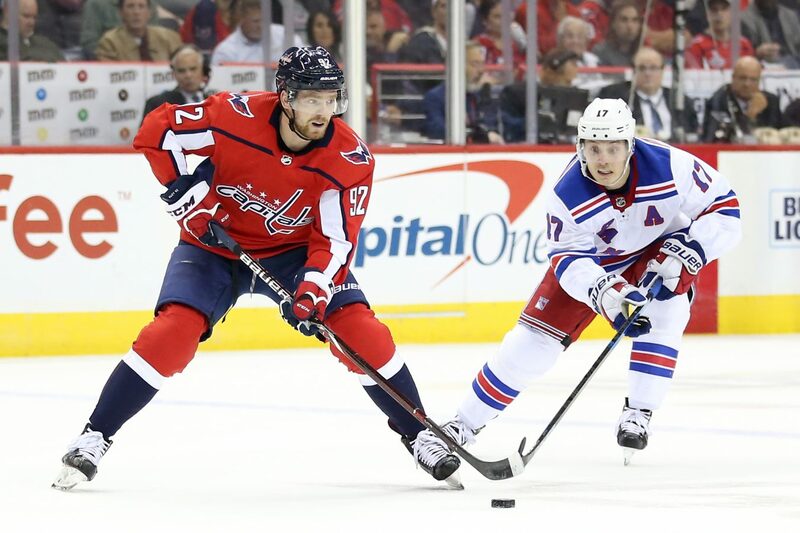 Getting an assist on an OT winner isn’t what makes Kuznetsov a superstar. Transitioning the puck at the rate he does, controlling the puck in the offensive zone the way he does and creating the amount of quality chances he does is what makes him a superstar. Most night’s, when you execute at the level Kuznetsov did on Wednesday, points will follow and while it took 60 plus minutes for Kuznetsov to finally get on the scoresheet, he did it on a play that highlighted the facets of his game that make him the star he is. Give it a.couple years but if controlled exits and entries ever become stats in your fantasy league, draft Kuznestov!